Get ready for an adventure! The world’s pluckiest, nonviolence-wielding shero is diving into a story you’re going to love! adventure-seekers, peacebuilders, parents, teachers, and everyone else! With all the fun of a sword-swinging adventure, but without the violence, The Lost Heir spins a spectacular story with strong female charactersand powerful social justice themes. 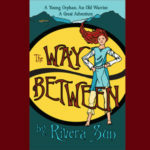 Young Ari Ara has been discovered to be the Lost Heir, the double royal daughter of two nations. When she learns that her mother’s people have forced her father’s desert people to sell their labor in exchange for water, she sets out on a quest for justice. ‘Armed’ with nonviolence and love, Ari Ara launches a youth movement to restore the honor and dignity of both her peoples. 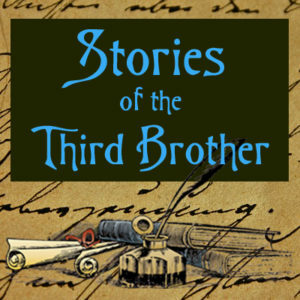 Unexpected allies rush to her side: the urchin queen, a monkish young scholar, a desert seamstress, and a mysterious hawk keeper. Before she knows it, she’s sparked an uprising like nothing Mariana Capital has ever seen! Kids, parents, and teachers agree: you’ll love this book! You're in luck. I have a few copies left from our Community Publishing Campaign print run. I'm all out of the special perks and thank-you gifts from the campaign, but there are a few novels left! 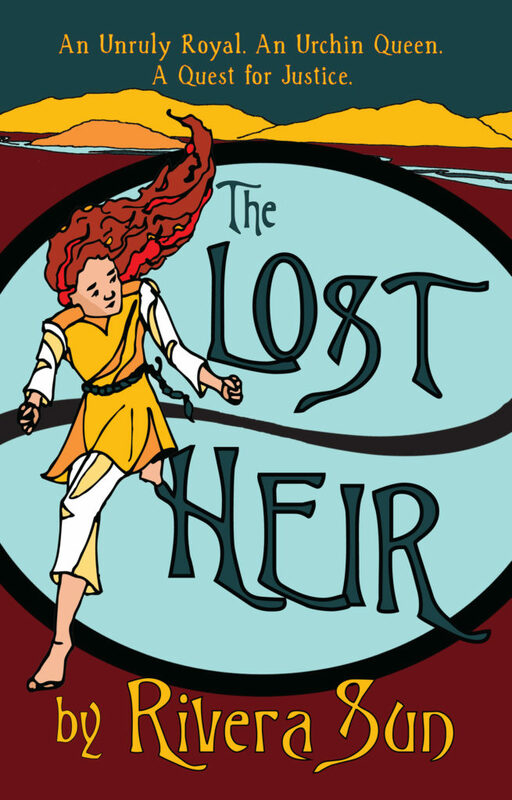 With all the fun of a sword-swinging adventure, but without the violence, The Lost Heir spins a spectacular story with strong female characters and powerful social justice themes. Young Ari Ara has been discovered to be the Lost Heir, the double royal daughter of two nations. When she learns that her mother's people have forced her father's desert people to sell their labor in exchange for water, she sets out on a quest for justice, 'armed' with nonviolence and love. Note: This is the new cover version of the beloved book! Between flight and fight lies a mysterious third path called the Way Between, and young shepherdess and orphan Ari Ara must master it . . . before war destroys everything she loves! She begins training as the apprentice of the great warrior Shulen, and enters a world of warriors and secrets, swords and magic, friendship and mystery. She uncovers forbidden prophecies, searches for the lost heir to two thrones, and chases the elusive forest-dwelling Fanten to unravel their hidden knowledge. A wonderful story for our times! Kids, parents, grandparents, teachers, peacebuilders and activists all love The Way Between! 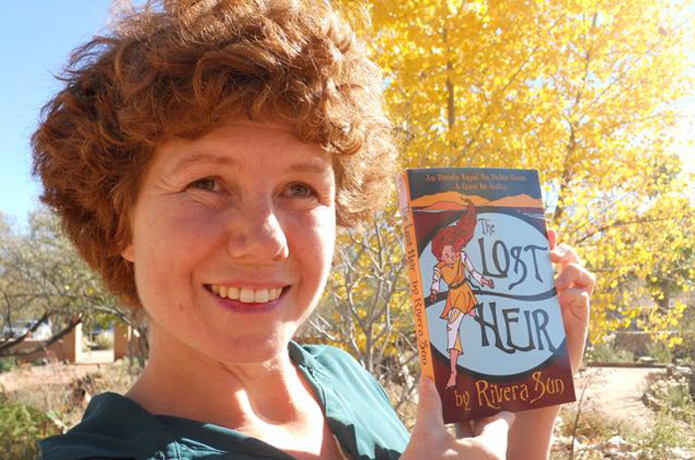 “Rivera Sun is a poet and her prose is poetic and full of imagery and figurative language, so that the reader is swept up in the story and his or her imagination is ignited by the author’s beautifully descriptive and poetic use of language. She is able to paint pictures with her words.” – Casey Dorman, Author and Editor. Read more on The Lost Coast Review.